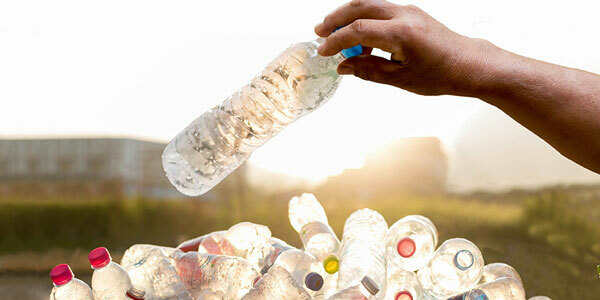 Consumer goods giant Unilever has today announced a new partnership with waste and recycling firm Veolia to drive progress on global plastic recycling rates, starting with action in India and Indonesia. Just 14 per cent of plastic packaging used globally is collected for recycling, according to the Ellen MacArthur Foundation, while 40 per cent ends up in landfill and around a third is littered across land and oceans. Unilever – one of the world’s largest consumer goods companies – has promised to tackle the problem by ensuring all its plastic packaging is reusable, recyclable or compostable by 2025, and that it uses at least 25 per cent recycled plastic in its packaging by the same date. The firm said the new three-year partnership with Veolia will help establish waste and recycling infrastructure in India and Indonesia, which will be crucial for meeting its targets and establishing a commercial market for plastic waste. In particular, Veolia will work to help Unilever collect used packaging and build out new recycling facilities across the region, the two firms said. Building out recycling collection and processing capacity in India and South East Asia is a particularly pressing challenge given China’s decision earlier this year to ban imports of foreign waste in order to give priority to its own domestic recyclate. The ban has meant plastic and cardboard waste from the UK and other industrialised nations has flooded in to neighbouring markets such as Vietnam and Malaysia, threatening to overwhelm their domestic systems.